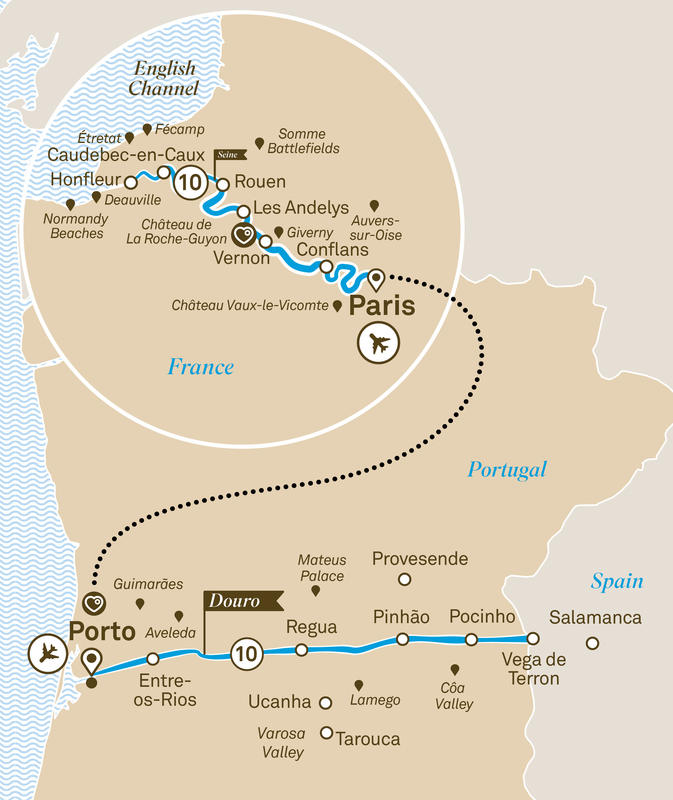 Journey along the stunning Seine & the Douro, on this 21-day cruise from Paris to Porto. Highlights include Château Gaillard and the Somme battlefields. Even with the sheer abundance of beautiful rivers to choose from, the Seine and Douro are two of Europe’s most tempting waterways. The Seine, which flows languidly towards the English Channel, boasts spectacular cathedrals, impressive limestone cliffs, flowering orchards and the grand architectural wonder of the ‘city of light’, magnificent Paris. The Douro begins its journey in vibrant Porto before entering a land that time seems to have forgotten. Combine the two in one wonderful itinerary and you can look forward to enjoying a truly spectacular experience. Take your included flight from Paris to Porto where you’ll cruise the Douro Valley.